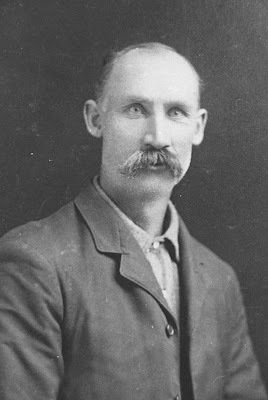 It's time to take a quick look at some of these homesteaders who inhabited northwestern Montana, and the raw environment they were entering at the turn of the century.James 'Jim' Berray, like every new arrival, carried his dreams and hopes in his heart. Most of the settler arrived from the east, but a sprinkling came from the states hard hit by the Civil War. They ardently desired to own land the government was opening up for settlement, or to make their fortune. All were willing to work hard and sacrifice, but the majority had little idea of what settling a wilderness entailed. Those who stayed showed their abilities quickly, and adapted to the rugged, remote wilderness. LaFaun was a jovial Frenchman who took a place upstream from the two young Berray brothers on Bull River. Jim and Cap hand hewed the logs for his house. Ten miles north of them, another young man, Roy Tallmadge, homesteaded on the Middle Fork of Bull River in 1902. Roy build a fine large house and cleared land on the North Fork of Bull River.1. His widowed mother, Edwina Augusta Tallmadge came, with her ten-year-old son Harry, to homestead also. All of these people, it turned out, became squatters in the government's rules since the survey was not done yet.1. When Clifford R. Weare came to Noxon on June 21, 1903 he was twenty-two, of average height, barrel chested, and strong and sturdy as a bear. Sandy hair topped his high broad forehead. With steely-blue eyes, he surveyed the wilderness settlement. As he stepped down from the train, his first impression was of the depot situated in a fantastic mountainous valley. The immediate surroundings had suffered a recent forest fire. Fire killed buckskin tamarack, towering a hundred feet high and more, patterned the otherwise barren slopes thick enough to hinder travel. Elsewhere virgin timber covered the surrounding slopes as far as he could see. 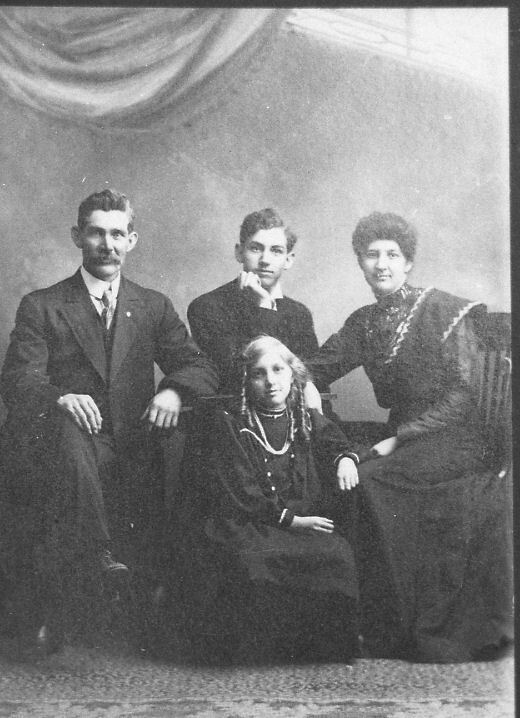 Aside from his parents, the only human habitation young Clifford was aware of were the depot agent, Harry Pringle, and Noxon's first homesteaders, Dan DeLong, Felix Evans, who had homesteaded between the railroad depot and Pilgrim Creek, and Ed Hampton. And there were Hampton's cows. The big building that had been Greenough's tie hackers supply store was now a shed housing feed for Hampton's cows. Berrays, a few more squatters, and a man named Green lived on Bull River. The Chinese didn't count, although Weare later said there were fifteen of them and they were very fine fellows. He said they all lived in a little shack the railroad owned that was no bigger than about 14'x10'. They all smoked opium and were all-big men; Korean Chinamen. One was called 'Boxer' because he used to tell about the Boxer Rebellion in China. Andrew Knutson was the section boss and he got along fine with the Chinamen, Weare said.2. Clifford's parents were living in a cabin. Captain Peter Weare was the postmaster since March 12, 1904. At Smead's, a man named Haycock now owned the shingle mill. He was peg-legged, having lost his limb in a mining explosion. Come only to visit his aging parents, Clifford Weare stayed for many reasons; his parents were no longer young and well, he could see opportunity, he fell in love with the land, and people were flocking into the area. C. R. would be the staunchest believer in the valley and it's resources no matter the world situation. He was among the builders of Noxon. Homestead abandonment notices were appearing regularly in the papers. People gone six months or more who were not in the government services, which would exempt them from charges of abandonment, were losing their homestead rights. Many were due to the hardships, and people simply giving up and leaving. But just as many or more were due to homestead filings having been made only to strip the timber, with no intentions by the men of staying to settle. Timber land claim notices and mining claim notices continued to be published. In a few years young Maynard would be buying LaFaun's relinquishment rights. Bill Hays homesteaded the bottomland furthest up Pilgrim Creek in 1904. The area had been scourged by fire. Tall spikes of burned and fire killed trees stood so thick you couldn't get a team and wagon through without first cutting out an opening. But the brush was burned off and the land looked gently rolling and fit for farming. George Baker homesteaded about five miles south of the North Fork of Bull River. Andy Ryan, a half-breed Indian, took up the next place upstream on Bull River's fertile valley bottomlands that grew slough hay so abundantly in the narrow valley. He and a fellow by the name of Rummley who had a wooden leg got logs out the year before. Rummley was Ryan's cook. During these years timbering proliferated. At Smeads a logging flume carried logs from mountain slopes behind the town down to the banks of the Clark's Fork River. Across from Smeads, Rummley and Ryan's timber floated downstream on Bull River to the boom where millions of board feet of logs were held, ready for the spring log drive. with children, Maynard and Laura. ﻿The burly tough young men made their way down the valley frequently to the 'blind pig' at Smeads. Cap Berray warned Andy Ryan to bury his poke deep before he went down the river. Whether Andy did or not is unknown. One night peg-legged Rummley and Ryan got into a rag chewin' match and Rummley stuck the half-breed with a knife, killing him. Moving swiftly for a peg-legged man, Rummley got away on the train before anyone could apprehend him. He was later caught on another charge and sent to the penitentiary. So Ryan's land was left open. 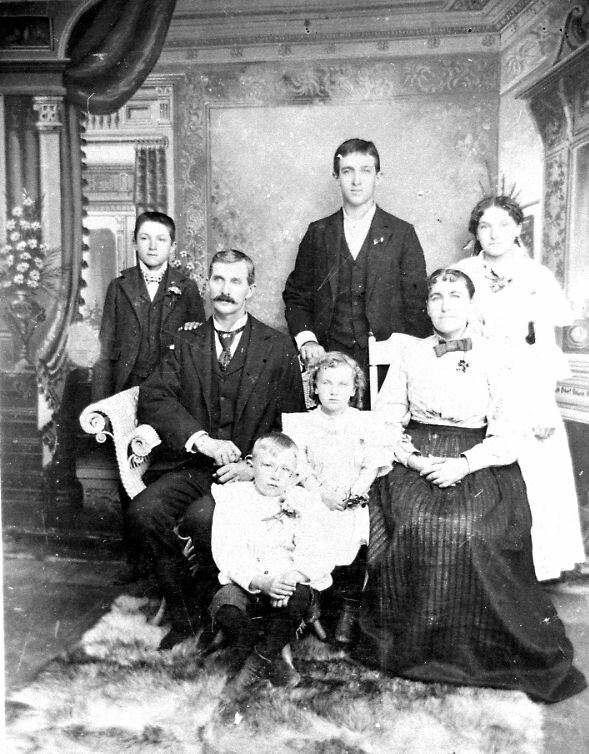 John Collogan, who lived in Helena at the time, got wise to it so he and his wife and baby girl, Clara, came out and homesteaded it. In 1904 a sideshow came to Noxon from Kellogg, Idaho. It cost a dime to view the one act show. Negros were in the troupe. These were the first Negroes some of the town's children had ever seen. Many of the people arriving in Noxon came by wagon. Some came singly. Some came in wagon trains. The Raynors, the Greers, and James A. Bauer, brought their families in wagons from across the prairies to the east. Henry Raynor was born in Long Island, NY. He and his wife, Harriet Louise, who'd been raised in the Dakotas, had previously been at Rathdrum with their family. The railroad went through their property there and they loaded up wagons and struck out east. 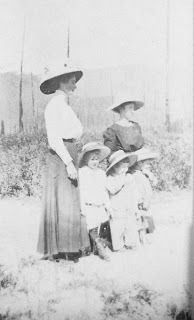 They arrived at the little railroad settlement of Noxon October 3, 1904. Raynor's homesteaded in Soldier Gulch basin on the north side of the river, directly across the Clark's Fork River from Noxon.
."Lilly, Alzier, Leatha ......... get up!" rang on the crisp morning air. 'Skinny' Bauer, and Aleatha Bauer Greer. ﻿ Bauer rented from John Schiller, an old gray-haired German who lived up on Bull River near where the Forest Service would locate their first ranger station. Schiller was a frequenter of the dances in Heron and also brought beef to market there in the earlier days. Bauer later bought the John Erickson place on the west branch of Pilgrim Creek road, about four miles east of the beginning town. In 1904 Lucy Allen, a six-year-old, was the youngest of seven children who came with their parents. Their covered wagon was pulled right down the railroad line by four horses. Their mother rode in the covered carriage pulled by two horses. Allens had met the Raynors while they'd all been stopped near Missoula. When they arrived at Noxon they crossed to the north side of the Clark's Fork River on the ferry Griffin owned and operated. His property fronted the southside of the river east of the NPRR depot. Allens camped on Raynor's place in Soldier Gulch while they looked over the land. A short time later they went to the Bauer place for a few days before moving on to Heron where they located and stayed for twenty years. 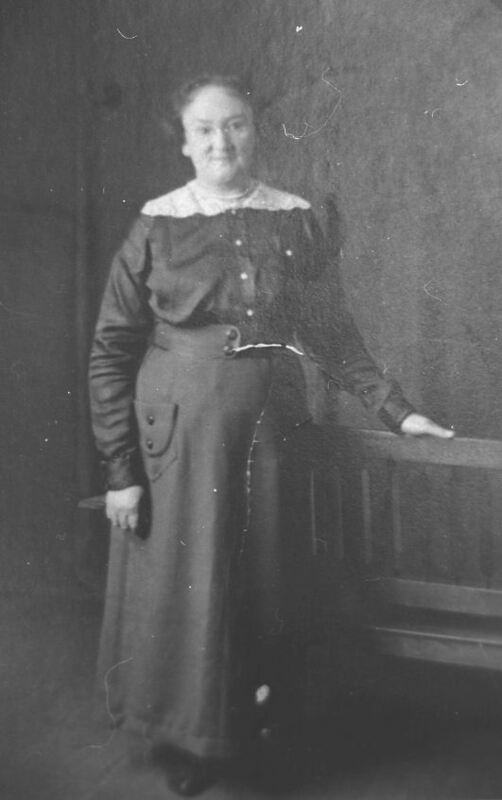 Mrs. Allen served the town as mid-wife while her husband was a constable for many years. Annie Allan, mid-wife at Heron, Montana. to Lucy's daughter, Agnes Jenkins Hampton. Saint Patrick's Day was celebrated at Heron with J. Mosher, the section foreman inviting everybody in the neighborhood to attend a free dance and supper in honor of his son's birthday. Following supper served at the section house, everyone danced at the schoolhouse. The end of that month the legislature "passed a measure that will cost every male 15 years or older $1 a year to hunt or fish in Montana." The Sanders County Ledger told its readers, "There are those who claim the law is a fool law and they intend to violate it. Some of the states newspapers advocate the law's violation." The Missoulian "considered it a poor law because it awakens an antagonistic spirit in the breasts of good citizens for curtailment of privileges they have enjoyed." Mose Roach, the efficient blacksmith, pondered the law and its affects on the trainloads of tourists who annually came, camping in special train cars on the sidings, to fish for a month at a time. He continued shoeing horses, moving to whichever mining or ranching outfit up or down the valley that needed him at the time. Unknown is whether he was among the majority of men who had no inclination to bother to go to the county seat, state all their business to be recorded on a piece of paper by the government, and then pay a fee for having submitted to such invasion of privacy. 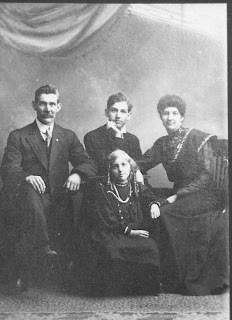 Caption: Fred P. Allan, father of Lucy Allan Jenkins and grandfather of Lucy's daughter, Agnes Jenkins Hampton. Courtesy Stewart and Agnes Hampton collection. All the while the people of the valley celebrated life. Twenty people enjoyed another dance given at the home of Mrs. Granchamp Saturday at Heron. Garred orchestra from Thompson Falls played again. Marion Cotton and J. P. Collogan of Bull River enjoyed it along with several people from Noxon.4. 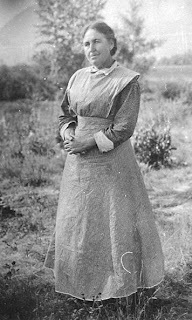 The little communities were made up mainly of young settlers who were hearty and more than willing to get together for good times. Frank Berray, tape-recorded oral history. Only one original homesteader's log house hued by these master axemen still stands in 2011; Caspar Berray's homestead home built in 1914. There was one steamboat on the Kootenai River at this time, the HAVISTON, which went up to Kootenai Falls. "Judge Smith" captained it. According to these early settlers most winters had more snow than is currently the case. The Indians had burying grounds at the south end of Bull Lake. There they made monuments of dirt and gravel. Nothing was in them. More of them were at the upper end of the lake on the place Foster Stanley lived on. He had a whole pile of Indian relics that he plowed from the land where he planted his orchard. 1983 letter from Velma Bauer. Sanders County Independent Ledger, April 7, 1905.